Little, Brown Books for Young Readers, 9780316007627, 40pp. If you think Superman vs. Batman would be an exciting matchup, wait until you see Shark vs. Train. 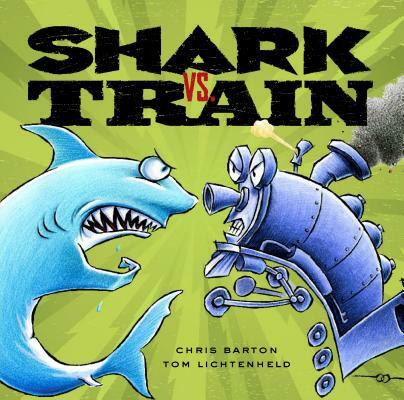 In this hilarious and wacky picture book, Shark and Train egg each other on for one competition after another, including burping, bowling, Ping Pong, piano playing, pie eating, and many more! Who do YOU think will win, Shark or Train? Chris Barton lives in Austin, Texas, with his wife and two young sons, who inspired Shark VS. Train while bantering with Daddy. Tom Lichtenheld is the illustrator of What Are You So Grumpy About?, What's with This Room? and the New York Times bestseller Duck! Rabbit! He is a creative director at an advertising firm, and lives in Illinois with his wife.